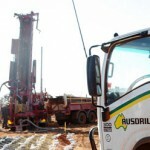 Ausdrill subsidiary Energy Drilling Australia (EDA) has sued Senex Energy for an alleged breach of contract. According to EDA, in March 2015 Senex terminated an existing drilling contract with EDA “due to material and ongoing breaches of the contract relating to the performance of the relevant rig,” Senex said in a company statement. 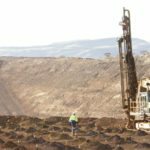 “Prior to terminating the contract, Senex gave EDA a generous amount of time (beyond the contractual requirements) to remedy the breaches, but EDA failed to do so,” Senex stated. Now EDA has claimed Senex wrongfully axed the contract, and is demanding Senex pay approximately $6.7 million in compensation. Senex has rejected the claims, stating it “is without merit”, countering that “EDA should compensate Senex for losses suffered as a result of the breaches” which it believes constitutes more than $1.2 million in value. It went on to state the two companies have failed to achieve a “reasonable and amicable outcomes” in mediation with EDA, and “intends to defend the proceeding vigorously and counterclaim for its losses”.